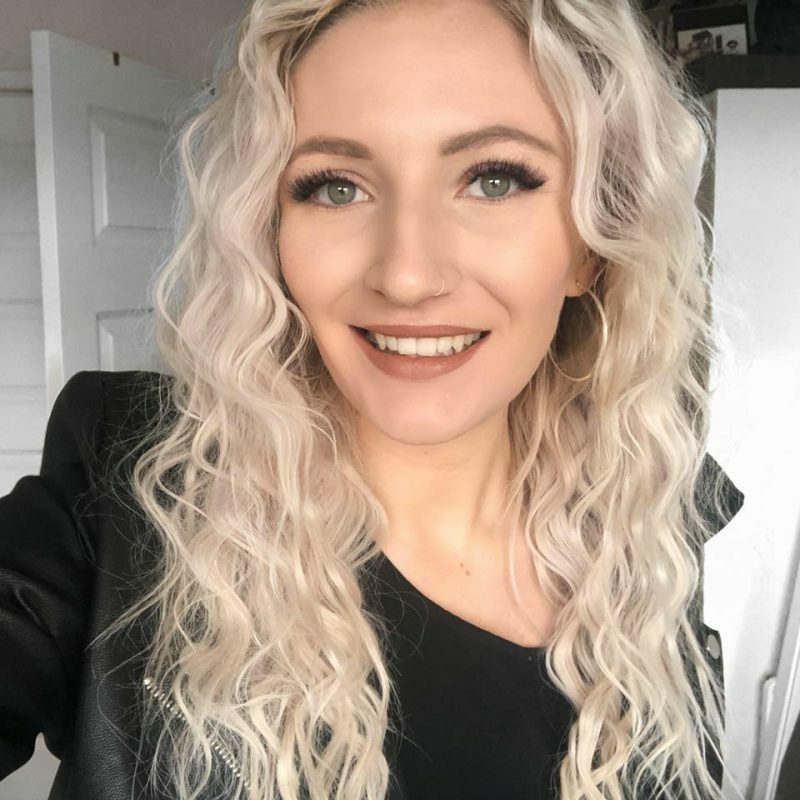 I was incredibly excited to share my Rimmel brow shake filling powder review – I received these products before they launched and have been trying them ever since. Brows are continually growing in popularity and when a new product comes on the block, we’ve got to try it out and see if it’s a new holy grail or a total fail. 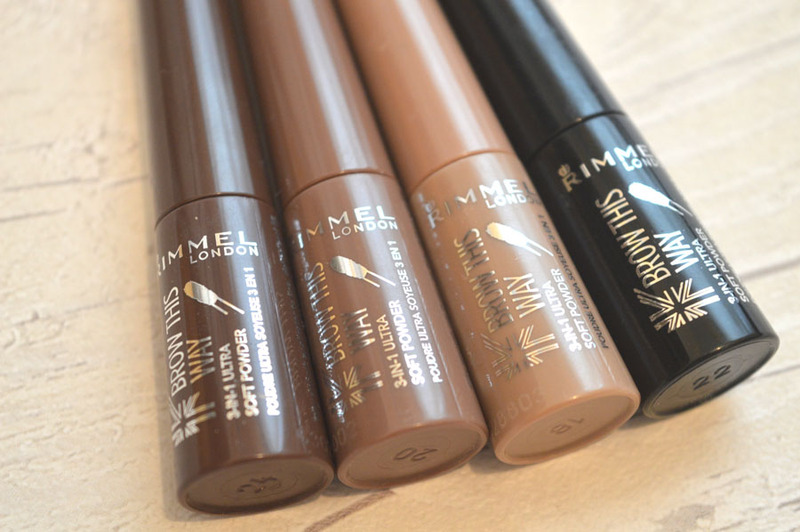 Continue reading to see my Rimmel brow shake filling powder review! Colours: These come in four different colours. Available in blonde, light brown, dark brown and a black. 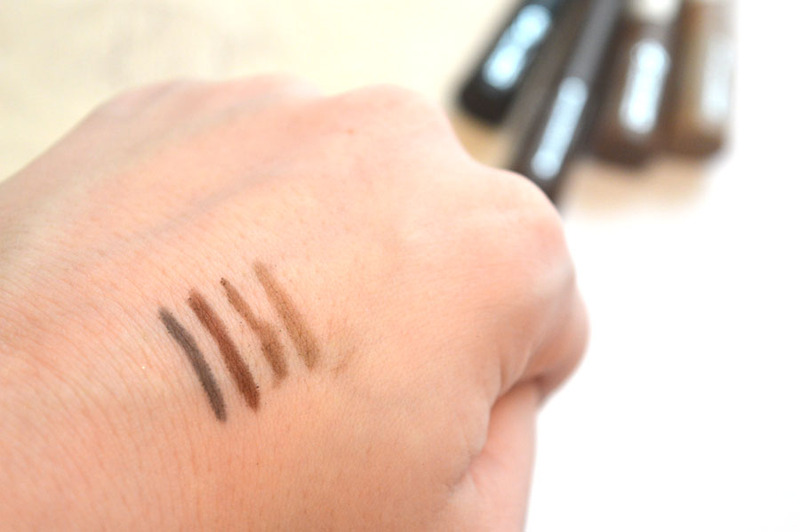 The blonde colour matched my eyebrows, but it is important to not there is an undertone of warmth that may not suit everyone so it’s important to swatch them in store to ensure they’re right for you. The other colours were far too dark for me to use unfortunately, but I know I’ll have friends that will love to try them, who all have darker hair. I would also like to say I wish there was a lighter shade than the blonde, as it probably won’t be the best match if you have very fair brows. Application: I had to write about how unique this application is, within this Rimmel brow shake filling powder review. It’s a spongy applicator that is straight in shape – totally different to anything else on the market. If you’re used to a pencil applicator, this won’t take any time at all to get used too but it does initially feel quite weird. 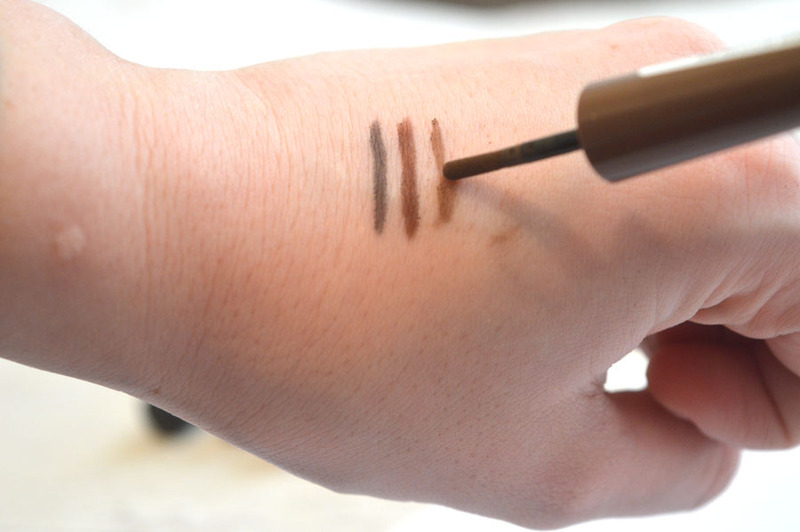 To get the product on the applicator, you have to shake the bottle and from there you can apply it to your brows. Very easy and simple – I’d say this is a great product for beginners as it’s quite fool proof. Texture: This goes from a cream to powder consistency and does feel very silky when applying. All of the colours were consistent in texture and they look very natural when on the brows – not too thick, not too thin. I prefer products that have a waxy consistency, but if you love using powder on your brows, you may just love this. Longevity: Because of the powder consistency of the product, these don’t last as long on my brows as my trusty Soap & Glory Archery Pencil – my holy grail eyebrow product. They look fantastic for 4 – 6 hours, then I notice they begin to fade and smudge, so they’re ideal if you’re running errands all day, but not if you’re working and touch ups are not as easy. I’m not sure if the darker colours wear better, as I find that the case with brow products, but a general FYI if you’re looking to purchase the blonde colour. Would I repurchase? The brow market is ever-growing and unfortunately products like this can’t compete. Rimmel London have certainly been very innovative to think of an idea that hasn’t been done before, whilst combining areas of other products in one to create something totally different, but for me they’re not as amazing as my eyebrow pencils. In short: A really cool idea by Rimmel London, creating a new product that would either change the game or get lost in the race. For me it just isn’t enough; with so many products available compared to years ago, you really need to have something completely unique to shine the way in the beauty industry. For me, these did not last as long as I’m used too and I am unable to mimic hairline strokes like I can with a pencil, leaving with a less natural looking brow in the end. If you have darker hair, you may fall in love with these, but they really need lighter shades to cover all sides of the spectrum. Fantastic idea, but unfortunately these are not a product that ‘wow’ me. 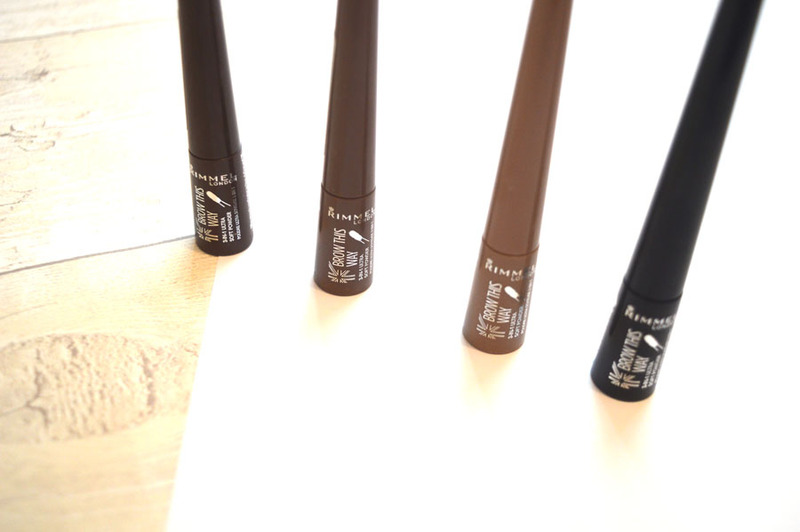 I hope you’ve enjoyed my Rimmel brow shake filling powder review – if you decide to try them out yourself, I’d love to know your thoughts. *these products were giften to me in exchange for an honest review, this does not change my opinion, click here to read my full disclaimer.